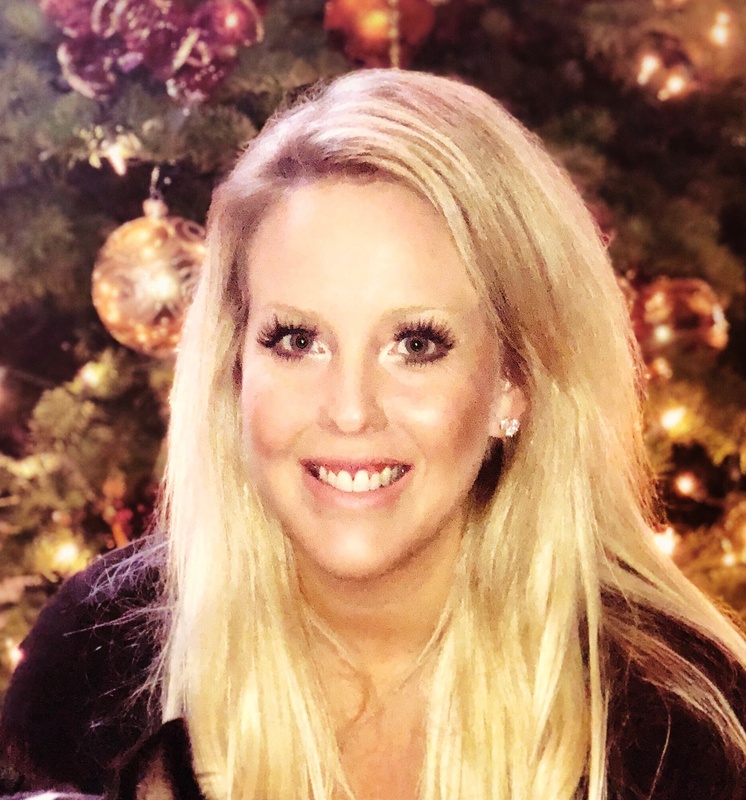 Kathryn Jack completed her MBA at San Diego State University. She has a passion for education and enjoys meeting and interacting with optometry students. 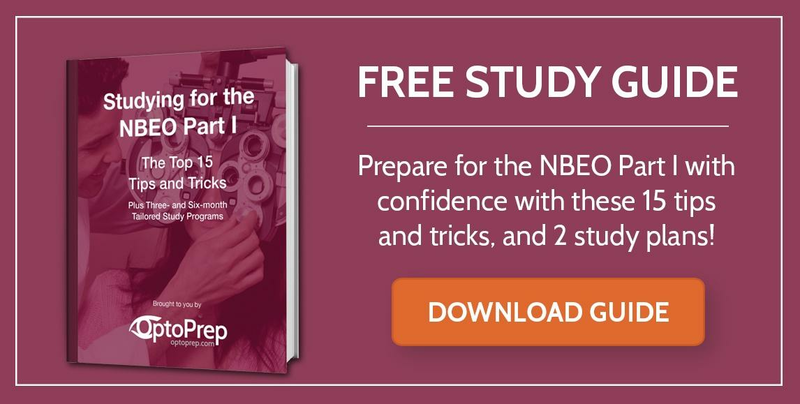 Kathryn is the Program Manager for OptoPrep, the premiere online study resource for the NBEO® Part I & Part II. Say hello to the OptoPrep Question of the Week! 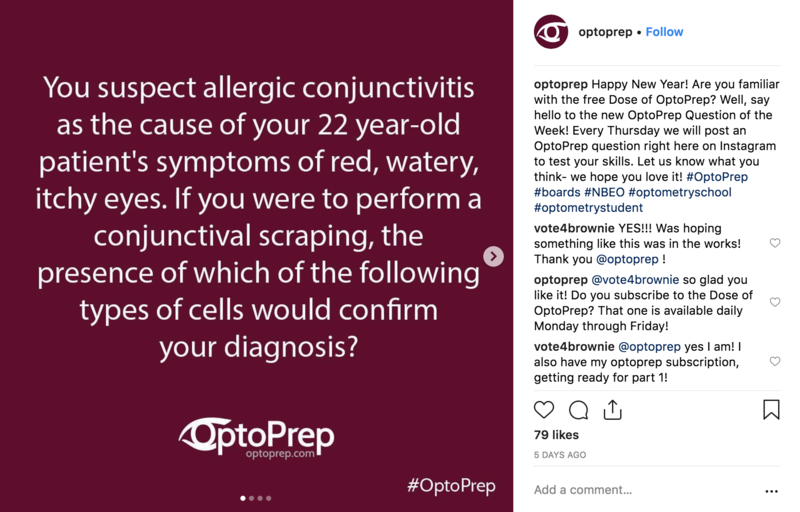 Every Thursday we will post an OptoPrep question to our Instagram page to test your knowledge on boards-related topics. 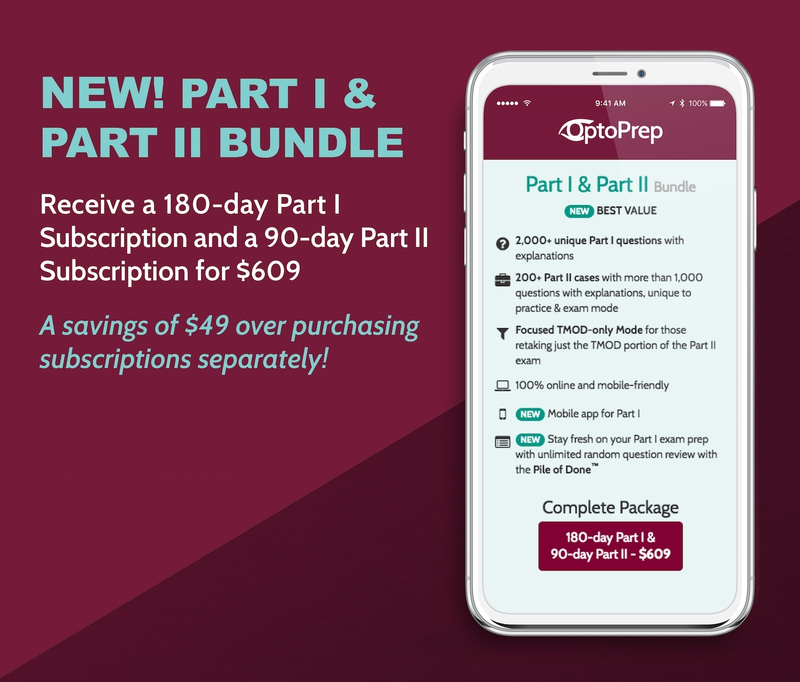 The best part is that just like OptoPrep questions in your subscription, every question comes complete with a detailed answer explanation because knowing the correct answer is only part of the equation; the real key to success is knowing why that answer is correct. Who knows, maybe you will learn something you haven’t touched on in class just yet! 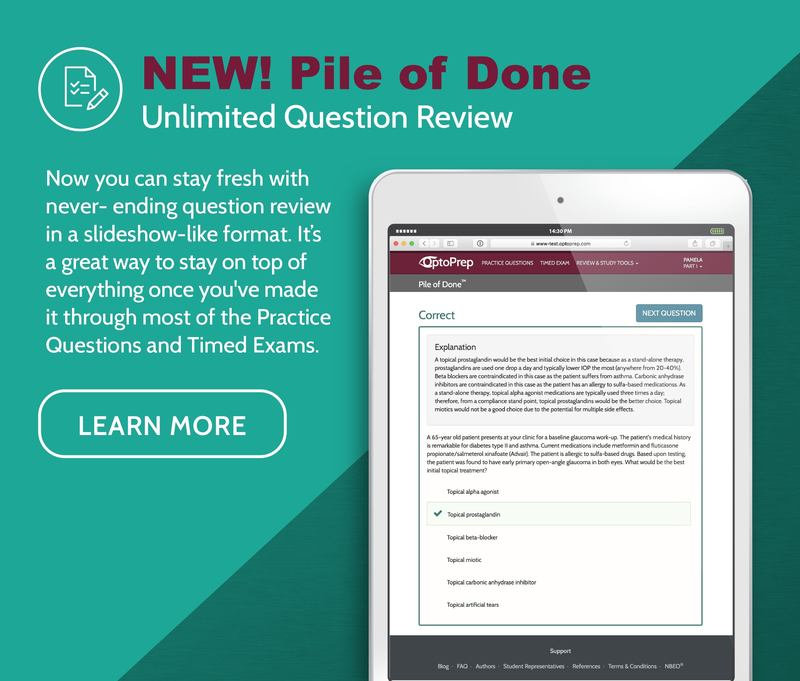 Ready to join in and get a jumpstart on your board prep? Simply follow @OptoPrep on Instagram. Our first few posts are out now so head on over and get started. I hope you love this new interaction and find it to be a fun break in your day. Have a wonderful start to your year and let’s all accomplish our goals together!